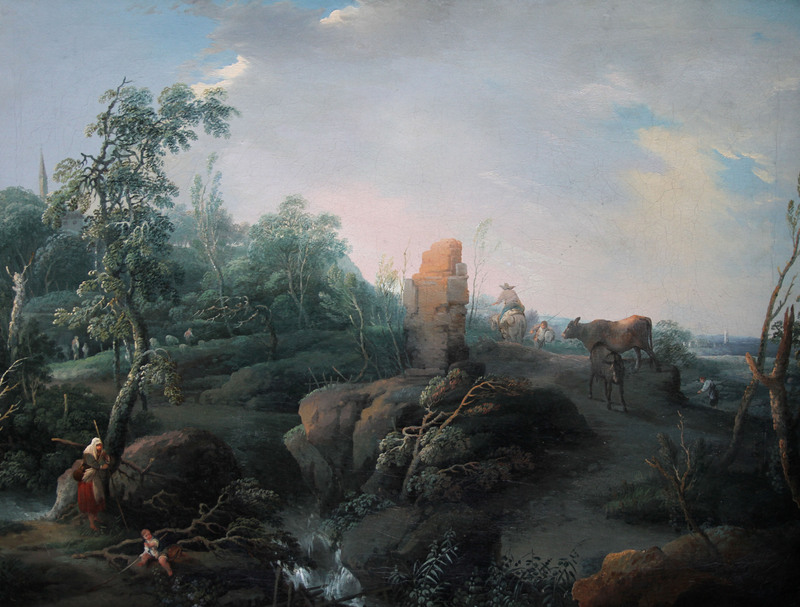 A large and delicate Old Master oil landscape capriccio of an Arcadian scene with figures, cattle and ruins in the foreground. It dates to around 1770 and is attributed to the French artist Jean Baptiste Claudot. A delightful painting in a fine frame of the period. Claudot studied under Joseph Vernet and the light sky shows this influence. A real country house painting. 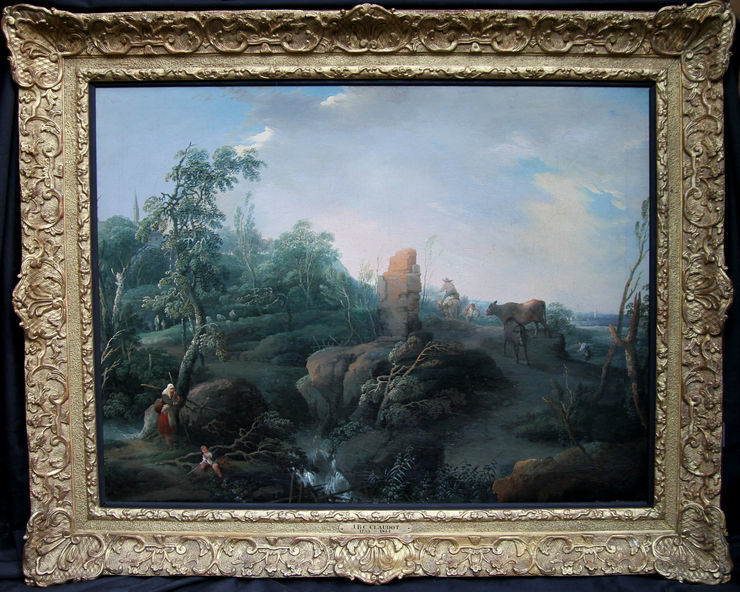 Fine frame 42 inches by 34 inches. Very good condition. Relined, in very good condition.